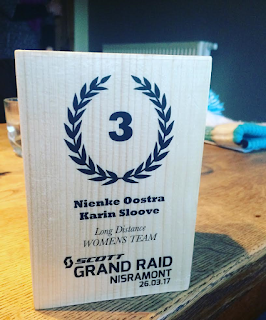 If you would have told me 3 months ago that I would podium at the renowned to be tough Scott adventure race the Grand Raid Nisramont, in the Belgium Ardennes, I would have probably laughed it off. I don’t really like people who act surprised when they podium insinuating they have not trained for it and are naturally just super talented. At the pointy end of any achievement a lot of hard work is required. In my opinion it just does not happen “out of the blue”. Karin and I signed up for this race barely knowing each other yet there was an immediate unspoken trust. A 4km kayak, 28km mountain bike, 7km trail run, 18km mountain bike and 5km run/bike over very hilly terrain was waiting for us. On paper we weren't a great match for this race. 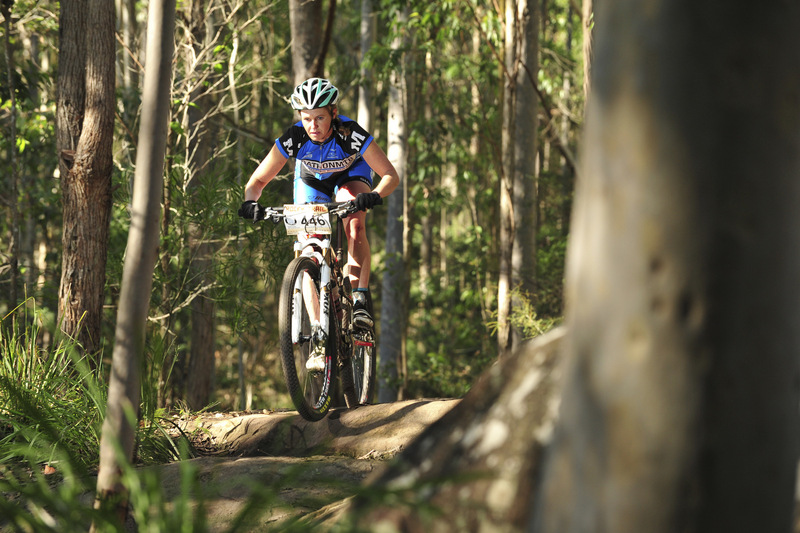 Karin had been concentrating on qualifying for the trail running world championships having done minimal bike training. 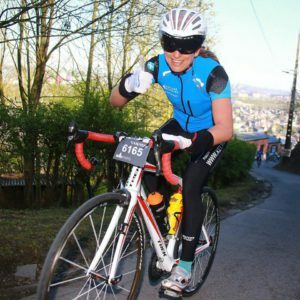 I had been concentrating solely on the bike after having only just returned to training still recovering from a back injury. 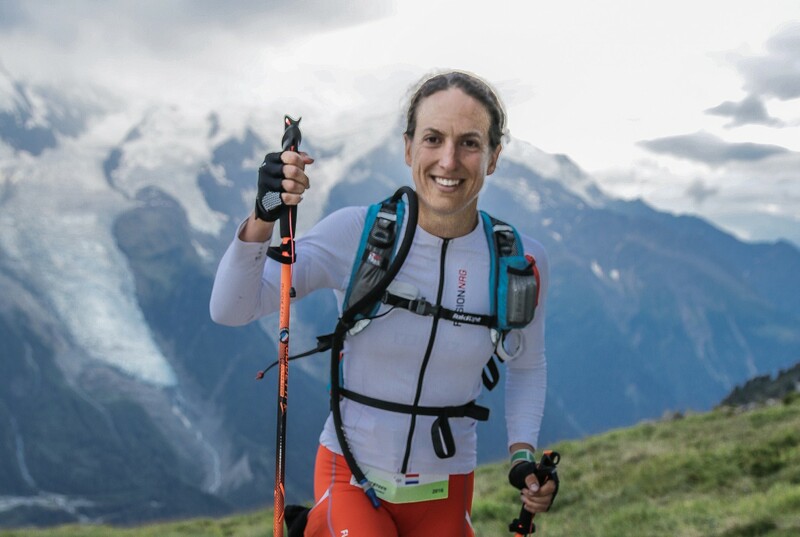 On top of that Karin had 55km’s of trail running in her legs from the week before where she qualified for the trail running world championships finishing 2nd Dutch female and 8th female overall. That she felt a little tired was an understatement. 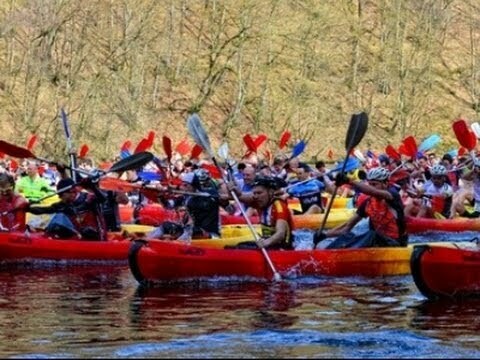 Neither of us had been in a kayak for over 2 years. It was a recipe for disaster, yet we managed to climb on that last podium spot. The whole weekend ended up being magic. 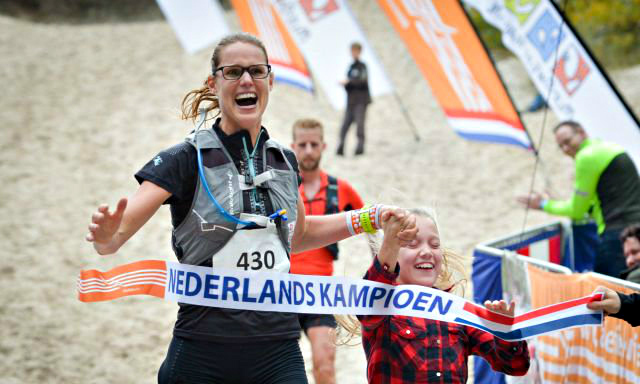 It started on Saturday when we supported Kim Mulder in her battle to qualify for the trail running world championships 3 months after she had survived kidney failure during a race spending a month in hospital. We caught her at a negative stage wanting to DNF but with a little encouragement she changed her attitude and turned it around with an impressive 3rd female overall making up over 2minutes on the second girl in the last 6km's finishing only a minute behind her. “I told myself to get over it” she laughed . A ticket to the world champs for Kim when she could barely stand upright 3 months prior to this event. Kim had already a proven track record, she just had to trust herself that she could do it again albeit on a not so ideal race prep. Not much different from Karin and I leading into the Grand Raid, although we both had a lot of rest during the winter months and minimal training leading into the event. We both had done the mileage over the years even if it had been a while “You have to trust you have the endurance from all the years you have already trained” said my coach Rab to me when he explained he was not going to bombard me with a lot of volume in my training program. Quality not Quantity. 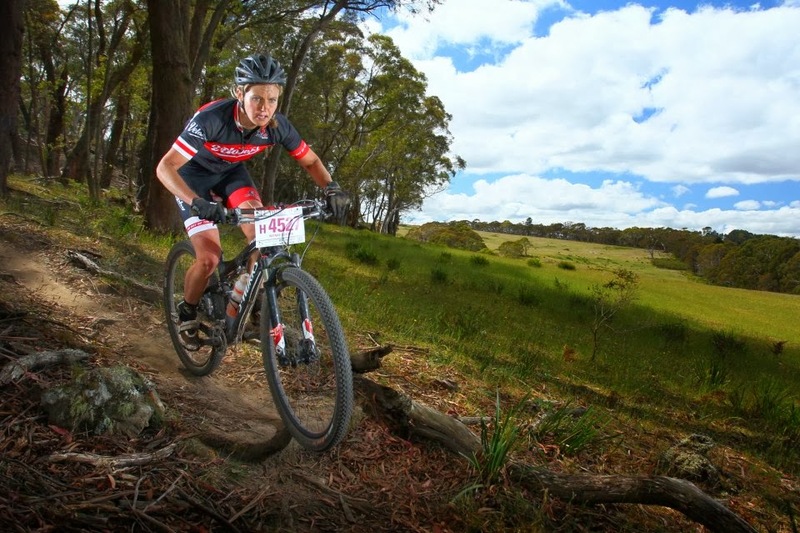 “Even if I have to cut the mountain bike leg short, I don’t care” said Karin the day before the race. "it does not matter if we do not finish, we can still do the run and the 2nd part of the mountain bike leg and have a great day of training." "I am technically really bad on the mountain bike and don’t want to jeopardise my trail running world championships by breaking something ” she continued. 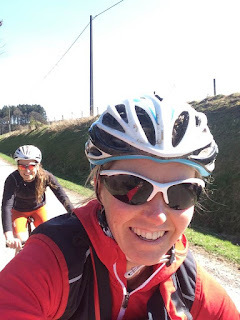 I realised that this race came at a very bad timing for her but that she was doing it for me, and equally I had jumped on the plane to Brussels purely not to disappoint her as I was not sure how good this race would be for my back. “Let’s just finish it regardless” I said “ it really does not matter if we come last, we don't have to be fast, just for the fun of it” And a pact was made. Generally Karin would leave nothing left to the unknown going into an event, which made her so successful having won some big races already. When I arrived at Brussels airport and she was awaiting me at the airport in Antwerp it was quite clear this was not an A-race for her!!! Very poorly prepared we rushed our way to the start entering the water with one minute left to go. It was the only stressful moment of the whole race!! The gun went off and a madness of thrashing paddles and crashing boats developed in front of us. “hang off the back” said Karin who had done the race a few times before “we don’t want to get hit from all sides by other boats” It was a glorious day and the colourfulness of the kayaks, paddles and people in front of us painted a beautiful picture. SportEvents always attracted a very strong field and it was easy to see why. Everything was superbly organised and the volunteers all did a brilliant job. Extremely happy with ourselves we beat quite a few boats out of the water and jumped on the bikes having survived the kayak leg. "Not last!!" we smiled at each other. We settled into a nice and relaxed pace on the bikes, on hind sight may be a little too relaxed but may be that is why we managed to finish as strong as we did. Karin being a little nervous on the technical descents yelled at me “Are we riding is??! !” heading down a steep and rough section “YES” I yelled back at her without giving her any option. Her bike handling skills were second to none, all she needed was a bit of confidence to ride downhill with purpose. I tried to pick up the pace a little on the descends to push Karin on a bit but at the same time tried not to physically or mentally break her. 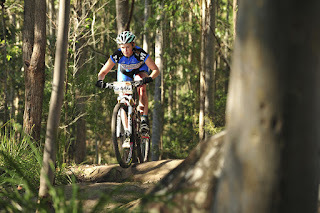 As the race went on she became faster and faster riding like a true mountain biker and we had a blast. It was no surprise the girl could climb like a goat and we were making up a lot of ground the further we got in the race. Suddenly we could see a female team in front of us “let’s try and catch them” Karin said. What happened with "we are racing pure for fun??!! " As we rolled in transition onto the run we found out we were the 3rd women's team “oh no” I thought to myself, “now we are really racing! !” but Karin stayed cool "just keep doing what we are doing" she said and being the better runner she dropped slightly behind me so I could set the pace. I could not have had a more supportive team mate and there was no negative moment in the whole 5 hours of racing. It had been months since I had been able to push myself running and it was such an awesome feeling. 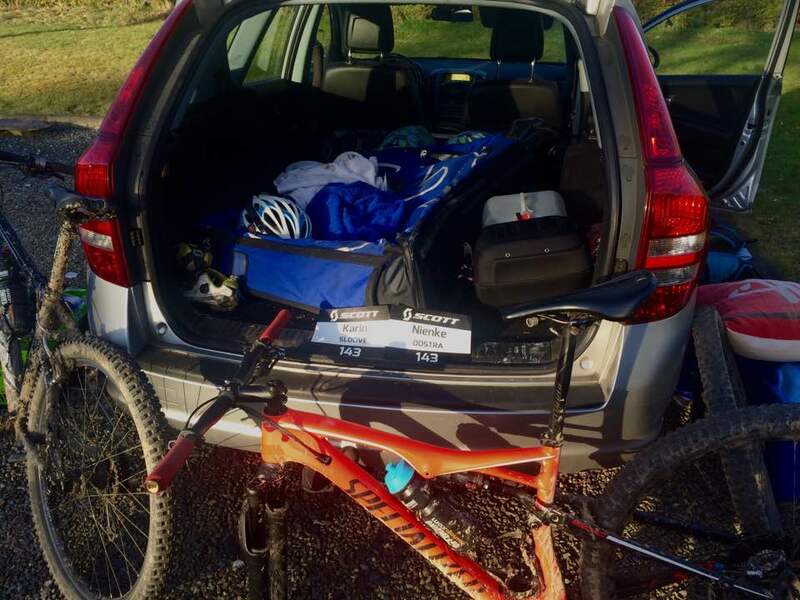 We kept racing smart and in the final stages of the second mountain bike leg we passed the 2nd women's team with a flat tyre; which meant we were now in second place!! All I could think was not to crash, not to go crazy, ride in control to not puncture or break a chain. 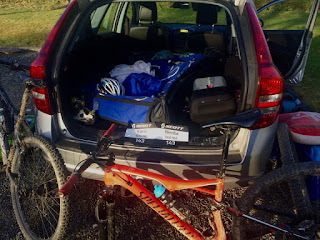 The last leg was a mixed mountainbike/run leg where one had to ride and the other run. Since I was not really allowed to run I stayed on the bike whilst Karin run her little heart out to keep us in 2nd place. What a feeling!! We could not quite believe we finished as 2nd women team in our wave!! There was a short but anxious wait to find out if we could hold our podium position with more women teams finishing in the 2nd wave. We were absolutely over the moon when it was confirmed we managed to place 3rd women’s team! What a day!! We could argue that this was a complete out of the blue performance for us, and who knows what we could have achieved if we had been physically and mentally better prepared going into the race. 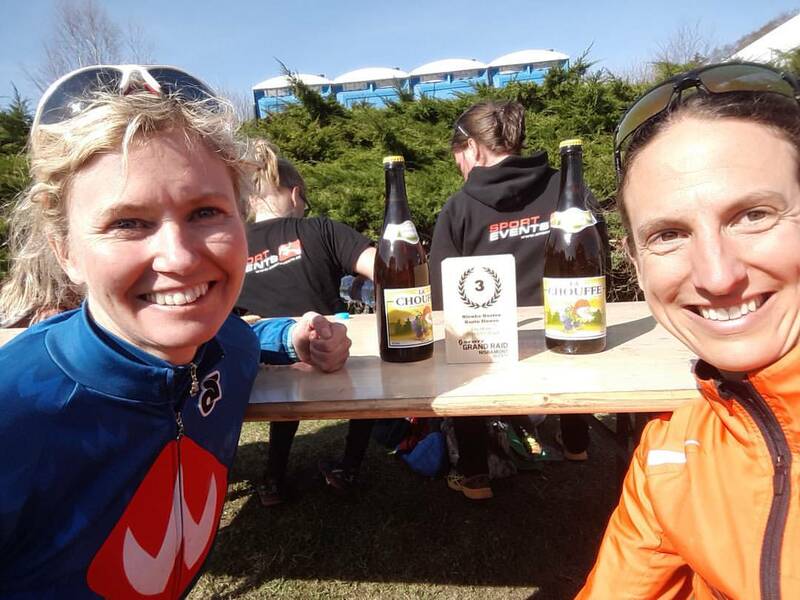 Although the result did feel totally unexpected, both Karin and I had a good few years of training and racing at high level in us and although we might not have been in good shape on the day, our relaxed happy attitude, well-paced race, and the amount of experience in our bodies lifted us up onto the podium. Sometimes all you need is a little trust that it will all work out and the rest will follow! !